over Majorna in Gothenburg. The tower of Karl Johans church, the bridge, Älvsborgsbron and at the horizon the well-known silhouette of the lighthouse Vinga. 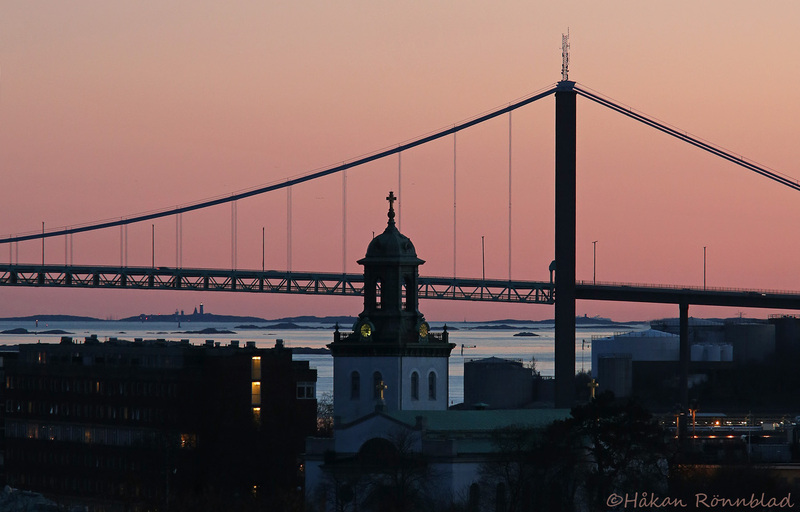 This entry was posted in photography, Sweden and tagged Älvsborgsbron, Göta älv, Gothenburg, Gothenburg archipelago, Karl Johans kyrkan, Majorna, Vinga, West coast of Sweden. Bookmark the permalink.